Click here to be redirected to Sterling Realty Finance, LP Investor Portal. Click here for more information on Galaxy Realty Capital, LLC. 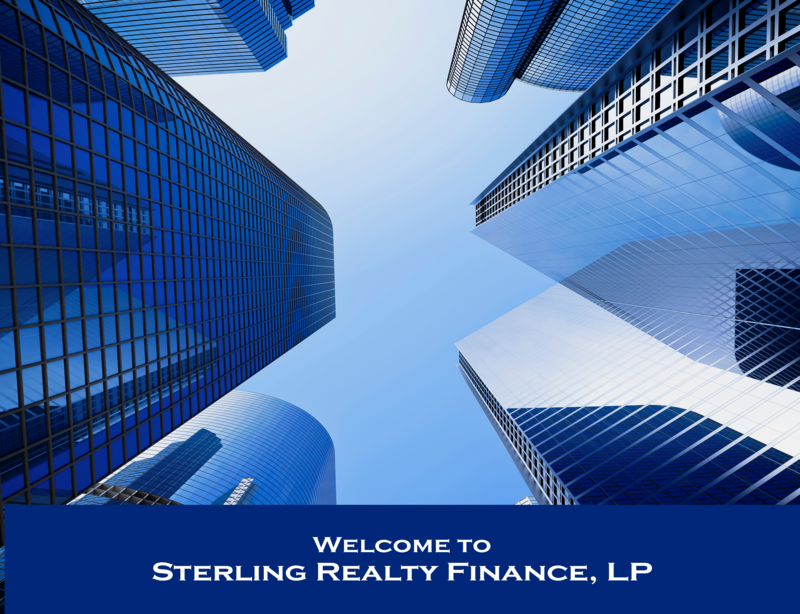 This landing page provides certain information about Sterling Realty Finance, LP (the “Fund”). This Page does not constitute an offer to sell or a solicitation of an offer to purchase interests in the Fund. Any such offer or solicitation shall only be made pursuant to the definitive private placement memorandum of the Fund, which qualifies in its entirety the information set forth herein and which should be read carefully prior to investment in the Fund for a description of the merits and risks of an investment.